Which future fantasy stars stood out at Vegas summer league? We sent our fantasy expert to the Vegas summer league to scout out the top rookies, second-year players and young sleepers for the 2018-19 campaign. Here's what he gleaned. Can NBA summer league predict surprise stars and busts? Is it possible to find the next Kyle Kuzma in July? 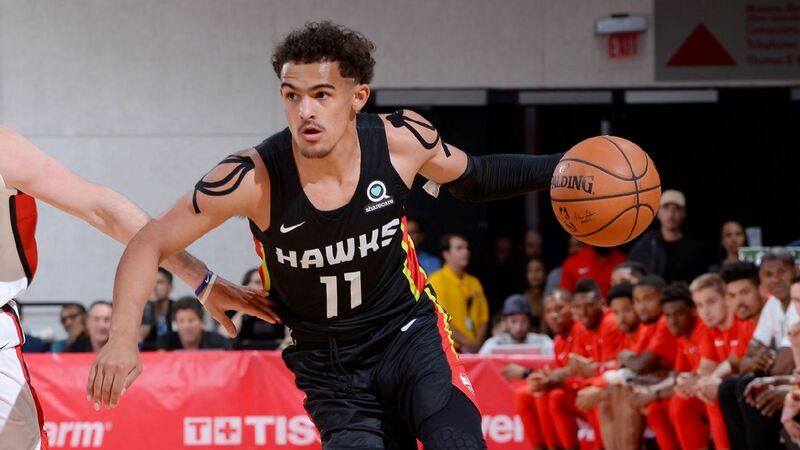 Kevin Pelton takes a close look at what summer league really means. Hooping in Las Vegas is cool, but it's also another opportunity to feature the baddest kicks of the month. Check out the footwork of Marvin Bagley III, Jaren Jackson Jr. and more. Lakers guard Josh Hart, averaging 24.2 points over six games, was named Las Vegas Summer League MVP. He played so well that Lakers president Magic Johnson said he is forcing his way into the conversation for a starting spot this fall. K.J. McDaniels scored a game-high 17 points to lead the Trail Blazers past the Lakers on Tuesday night in a rematch of last year's summer league title game. SportsCenter looks at the top 10 plays of the Summer League including Marvin Bagley III posterizing Moe Wagner and Josh Jackson blocking Bagley. Josh Hart is furious with the referees and voices his displeasure, which gets him a double technical and an ejection. Behind six players scoring in double figures, the Trail Blazers win the 2018 Summer League championship with a 91-73 win over the Lakers.